Florida boasts some of the nicest paved bicycle paths in the country. We’ll cycle some of the longest ones including the 48-mile Pinellas Trail through the heart of St. Petersburg and the Legacy Trail through Sarasota. We’ll also bike along some of the state’s most beautiful beaches. The weather this time of year should be perfect for bicycling. 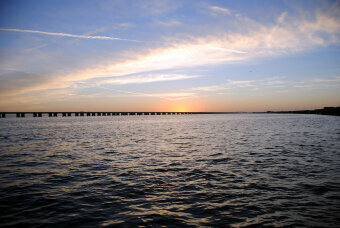 When we’re not on our bikes, we’ll have plenty of time to enjoy the sun, sand and surf of the beautiful Gulf Coast. Flat terrain on a mix of paved bike paths and roads. Leisurely to moderate cycling level. Leisurely level with an electric-assist ebike. 6 nights lodging, 5 breakfasts, 4 picnic and sack lunches, 4 dinners, snacks, park entrance fees, guided kayaking trip, cue sheets, van support and trained guides. Fly in and out of Tampa, FL and take the hotel's complimentary shuttle to our starting hotel. WomanTours will shuttle everyone back to the Tampa airport by 2:00pm or our starting hotel by 2:30pm on the last day of the tour. "This was a great tour. Everything was as described and the tour guides were wonderful. All three of the hotels were very nice. It was especially nice to have an ocean view room for the last three days." DAY 1: We meet at our starting hotel overlooking Tampa Bay. We'll start the rental bike fitting at 3:00pm, have our orientation at 5:00pm and then dinner at 6:00pm. If you've arrived early, take a walk along the water or treat yourself to a refreshing drink poolside. 0 miles. DAY 2: After a hearty breakfast, we cycle on one of Florida’s newest bike paths. The traffic-free Courtney Campbell Causeway Trail crosses Upper Tampa Bay. 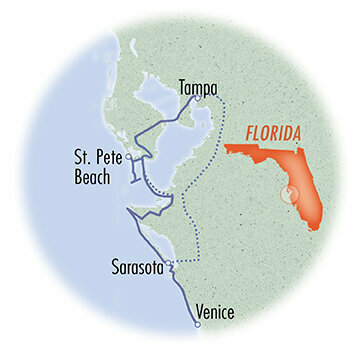 Then we’ll continue to Philippe Park and to the Pinellas Trail, one of the longest bicycle paths in Florida. It’s beautifully signed and paved and cuts right through downtown St. Petersburg. After finishing up in Seminole Park, we’ll shuttle to our hotel on the gulf at St. Pete Beach. Be sure to watch the sunset over the surf before our dinner together. 34 miles. DAY 3: Today, we get to cycle what has been called the nicest bike ride in all of Florida. 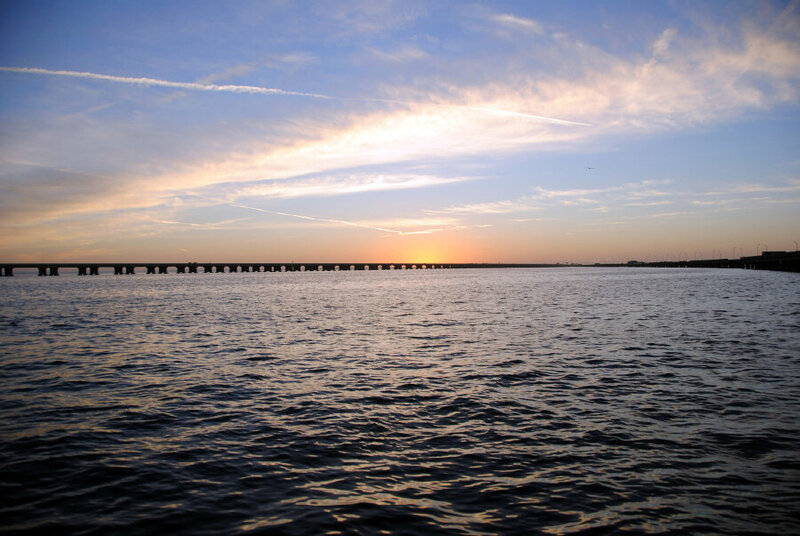 Fort DeSoto Park boasts a network of paved bike trails through a series of five interconnected keys. 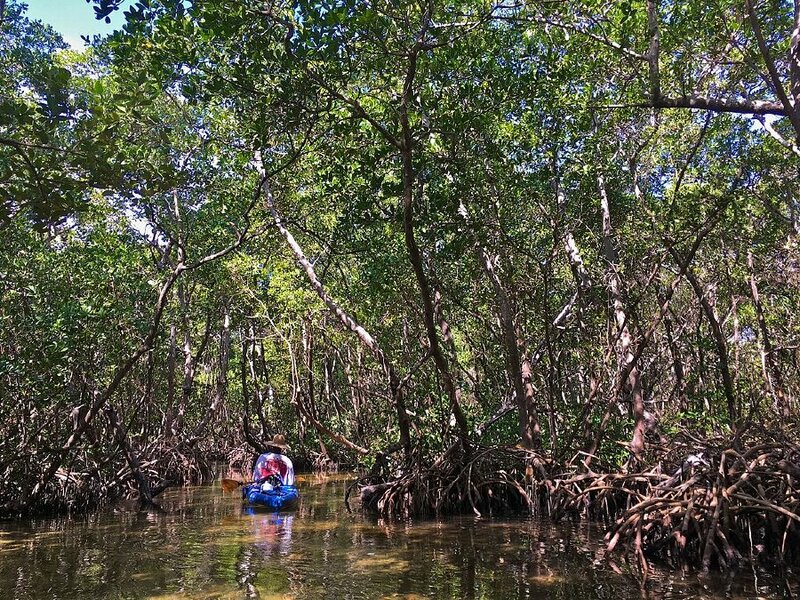 The park’s mangroves, wetlands and hardwood forests provide refuge for hundreds of different species of birds. If you’re a history buff, visit the historic fort and museum. After a beachside picnic, we'll head back to St. Pete Beach for our second evening on the water. Dinner is on your own tonight. 30 miles. DAY 4: We shuttle after breakfast over the Sunshine Skyway Bridge to the Robinson Preserve. There, we’ll unload the bikes and start down a short bike path to Anna Maria Island. Then we’ll bike the entire length of Longboat Key and onto Lido Key to our hotel for the next three nights. We’ll walk to the upscale St. Armand’s Circle for dinner together. If you like to sleep to the sound of the waves, just open the door of your oceanfront balcony. 31 miles. 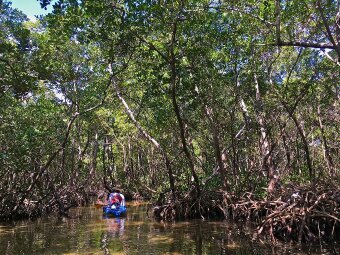 DAY 5: We’ll take the day off from cycling for a kayaking eco tour into the mangrove tunnels around Lido Key. In the shallow protected waters, we’ll be certain to see cormorants, osprey, egrets and pelicans. In the water, we’ll discover turtles and conches. If we’re lucky, we’ll also see dolphins or manatees. Don’t worry – there aren’t any alligators in these parts. 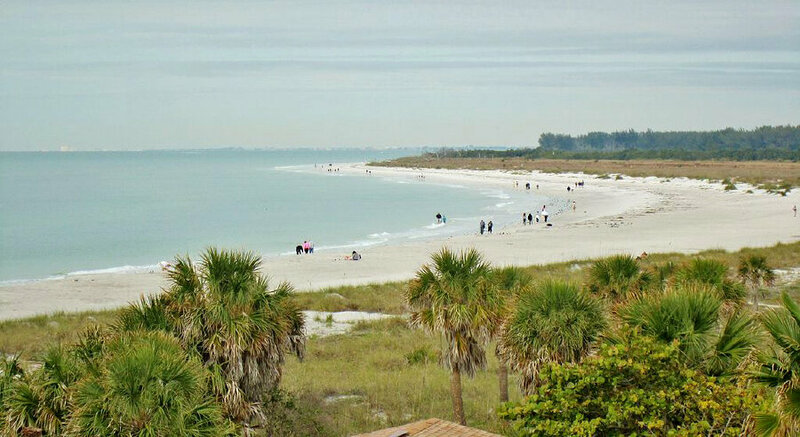 After kayaking and a picnic lunch, you can spend the evening looking for shells on the white sand beach of Lido Key or shopping among the myriad of colorful stores at St. Armand’s Circle. Dinner is on your own tonight. 0 miles. DAY 6: Back on the bike today, we’ll cycle the entire length of the Legacy Trail from Sarasota to the Venetian Waterway Park in Venice, Florida. Stop for lunch in the quaint downtown area of Venice or continue on to bike beautiful Casey Key. The winding road along the narrow key is lined with interesting homes and glimpses of the gulf. We end the ride in Oscar Scherer State Park where you can wander the trails before we shuttle back to Lido Key. 37 miles. 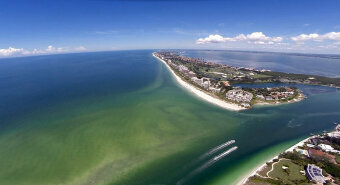 DAY 7: We end the tour with one last ride along our last key – Siesta Key – voted the #1 beach in the USA. The talcum powder-like sand is the softest and whitest found anywhere in the world. After our last picnic lunch together, we’ll say our good-byes to the sun, sand and surf and shuttle back to the Tampa airport by 2:00pm or our starting hotel by 2:30pm. 20 miles.